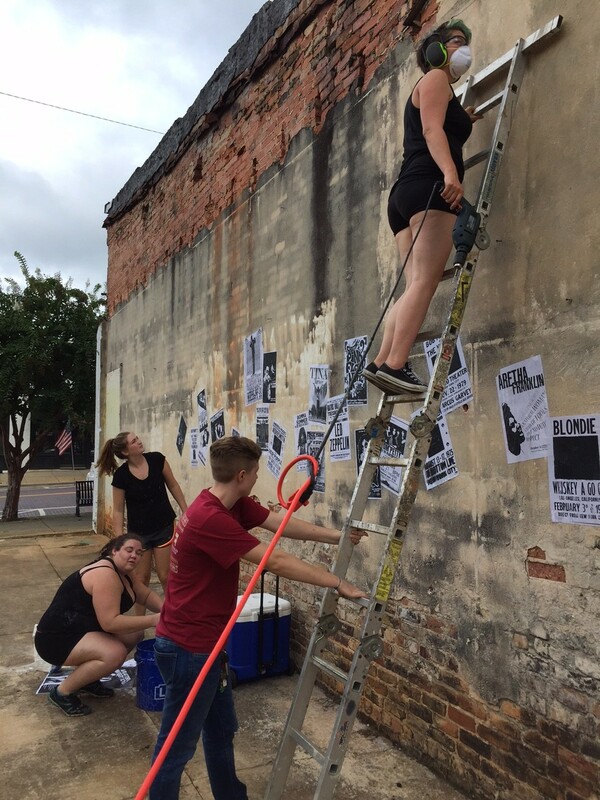 Kevin Curry’s Public Art & Architectural Art class hit the ground running this semester by accepting the challenge to conceptualize, design, fabricate and install a temporary work for Thomasville’s annual “Flaunt” festival, which opens tonight in Thomasville. 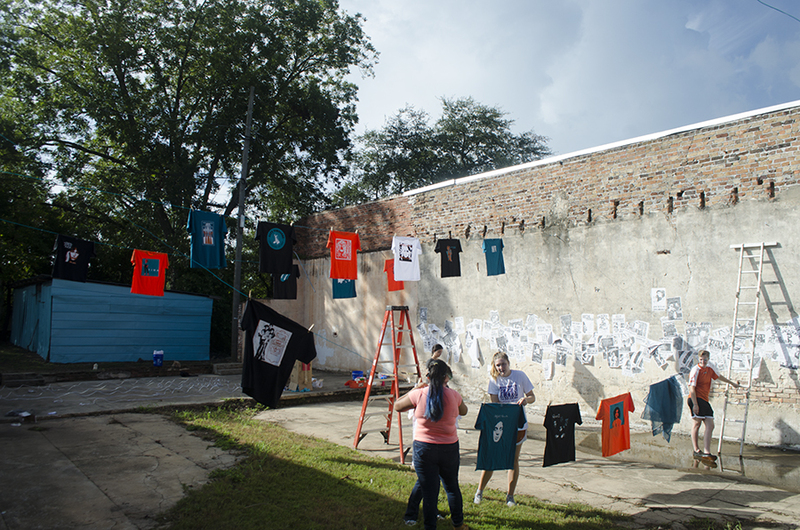 Based on the “Rock On” theme that revolves around 1970’s rock icons, students Carly Curry, Jennifer Egelfeld, Gabriela Molina, Megumi Naganoma, Christina Phillips and Elissa Shue designed, printed and installed and t-shirts and wheat paste posters reflective of the ’70’s era. 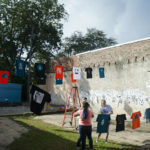 The installation will serve as an anchor location for the 2015 Flaunt festival as well as a means by which visitors can order custom t-shirts. Rock with us! Celebrate the history of 70’s Rock & Roll with murals, food and more at the FLAUNT ROCK ON! Opening Night Party. 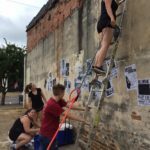 Mural artists, photographers and window display winners will be announced. Following the event, stay for street dancing with Jack Brinson and the Mainstream Band! Friday, September 11th at 6:30pm in Thomasville’s Creative District. Tickets $30; kids 12 & under free! Presented by TCA, Downtown Thomasville, Georgia and Hurst Boiler.